Homer called olive oil “liquid gold”; Hippocrates called it “the father of medicine”. It is difficult to imagine the Mediterranean diet without the olive oil. Reduces risk for cardiovascular disease. Reduces risk for certain types of cancer (skin cancer, breast cancer, cancer of large intestine, prostate cancer etc.). Contributes to the development of the central nervous system. Helps the normal growth of infants. Helps the body to absorb vitamins. Slows down the ageing of cells, thanks to fatty acids and the large amount of Vitamin E it contains. Helps in digestion and improves the function of the intestine. Recently scientists have shown a preference towards olive oil from unripe olives. Two thousand year ago,Dioscorides recommended an olive oil called “omfakinos” or “omotrives” as the best oil for a healthy body. Dioscorides was obviously referring to green olive oil, which is produced from unripe olives in the beginning of the olive picking season (the Greek words “omos” and “omfakinos” refer to the unripe olive drupes). In other words, it was known from the antiquity that not all olive oils are equally beneficial for human health. 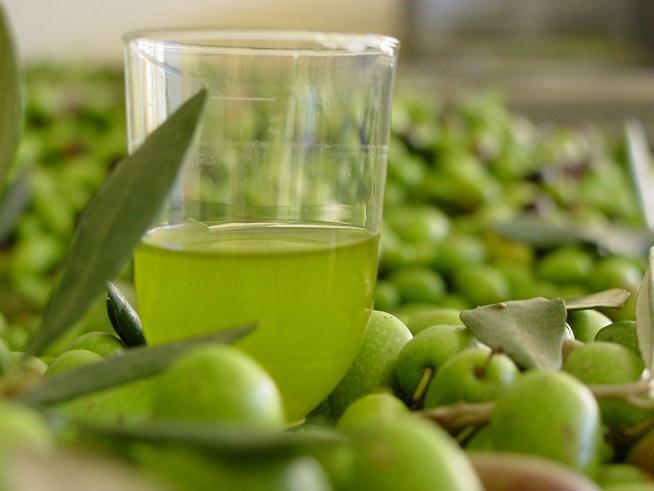 The level of effectiveness is defined by the quantity of two substances, oleocanthal and oleosin, contained in the olive drupes. These are the substances that cause a sense of “burning” to the throat when olive oil is consumed fresh (“raw”); experts in olive tree cropping can tell if an olive oil is good, based on this sense of throat “burning”. Oleocanthal has strong anti-inflammatory action, comparable to that of anti-inflammatory medication. Oleosin is the most powerful anti-oxidant found in olive oil. The difference in concentration of oleosin found in certain researches between extra virgin olive oil and random samples of other olive oils available in the market, was substantially in favour of extra virgin olive oil. Recent studies in Greece and other countries demonstrated that the variety of olive trees with the highest content of the substances in question was Koroneiki. However, it seems that other varieties that have recently been examined, demonstrate equally high substance content. Lastly, it should be noted that the researches examined the use of olive oil in terms of health benefit rather than taste. The cultivated olive tree varieties in our homeland correspond to the following ratio: 60 % Koroneiki, 25% Koutsourelia, 15% Tsounati or Athinolia. 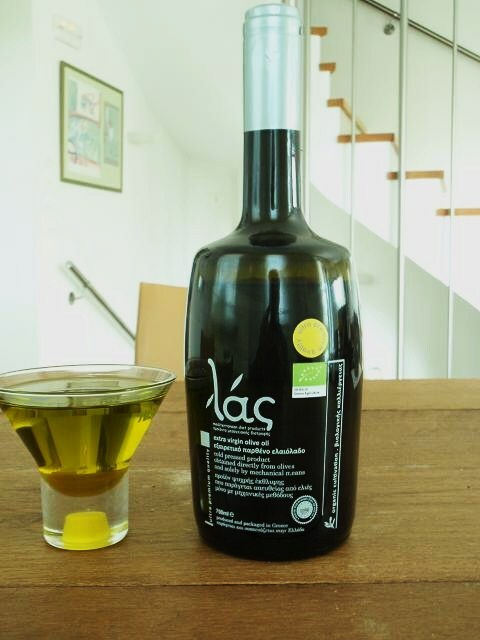 These varieties, their cropping ratio and the amount of work they need, have brought the olive oil of our Farmers Association to the top of the list in olive oil production in Greece. It should be noted here that olive oils produced in Laconia over the recent years are sold at the highest bulk sale price in Greek markets. This reflects the fact that traders acknowledge the quality of our product. In our crops the ratio of olive tree varieties is at 70% Koroneiki, 15% Tsounati or Athinolia and 15% Koutsourelia. We believe that the combination and the ratio of these varieties offer consumers final products (olive oil and olives) of excellent quality and perfect balance. Our products preserve the benefits of every variety at the indicated ratio. We offer consumers a fruity and high-density olive oil which is more economic, since the portions required to cover the consumers’ needs are smaller. At the same time, our olive oil retains all of its beneficial value, as demonstrated by the scientific measurements presented in our homepage. Koroneiki (Olea Europea var microcarpa alba). It is a variety of small-sized olives that is considered to be the king of all Greek varieties (producing exclusively olive oil). The olive oil of the variety Koroneiki gives a green to yellowish colour to the olive oil, distinct aroma and a strong sweet and sour flavour. Suitable for all culinary uses (salads and cooking). Tsounati or Athinolia (Olea Europea var Mamilaris) is a small to medium drupe size variety. This is a variety that grows fast and gives a small to medium olive oil production. It requires rich soil and good agricultural conditions. It is also very resilient to cold weather. 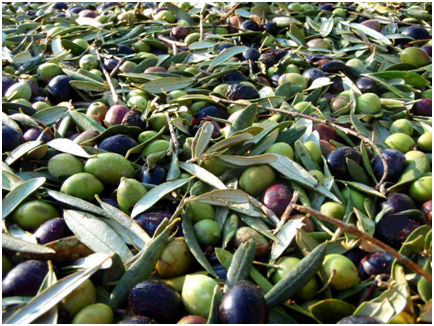 Tsounati or Athinolia variety is used for producing olive oil and edible olives. The olive oil produced by this variety is of excellent quality, fine texture and amber colour. It has a medium to intense fruity flavour and it probably offers the best balance between sour and spicy flavour. It is considered to be ideal for salads. Koutsourelia(Olea Europea var Microphylla - Mastoides).This tree grows in rich soils, requires humidity and produces small and round olives, joint in groups of 2 to 3 olive drupes. This variety offers both olive oil and edible olives. Its olive oil is of very good quality, with a mild fruity but very distinct taste, while at the same time it is less sour in comparison to the other two varieties.Its taste balances the taste of the other two. This olive oil is considered to be ideal for frying and making sweets. "It is our obligation to present to the consumers our products as they really are, avoiding exaggerations for publicity purposes."